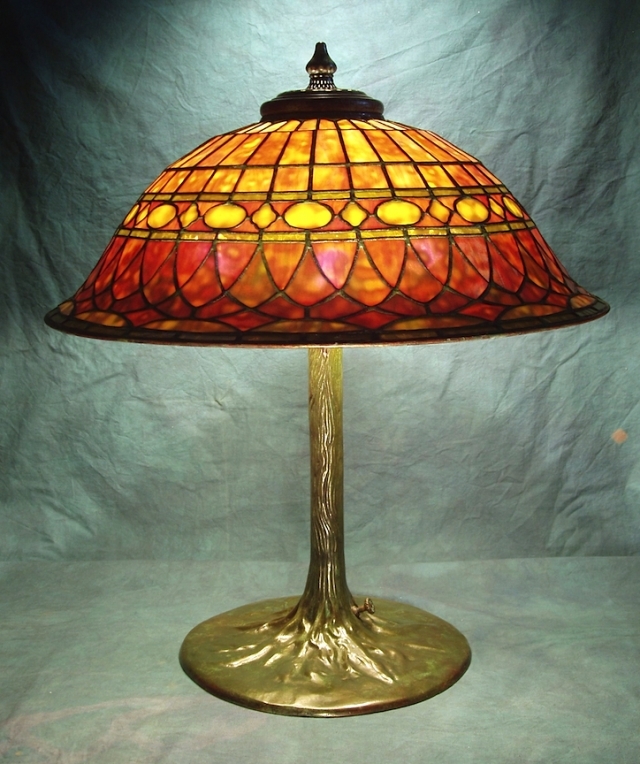 The 25″ Roman shade has an unusual flaring dome shape which is generally referred to as “elephant ear”. In addition to being an impressive table lamp, floor lamp, or chandelier fixture, this generously proportioned shade works exceptionally well as an inverted chandelier. This richly colored shade features fiery amber and red tones and is shown on the Tree Trunk base. This lamp was created in 2005 for a local client.